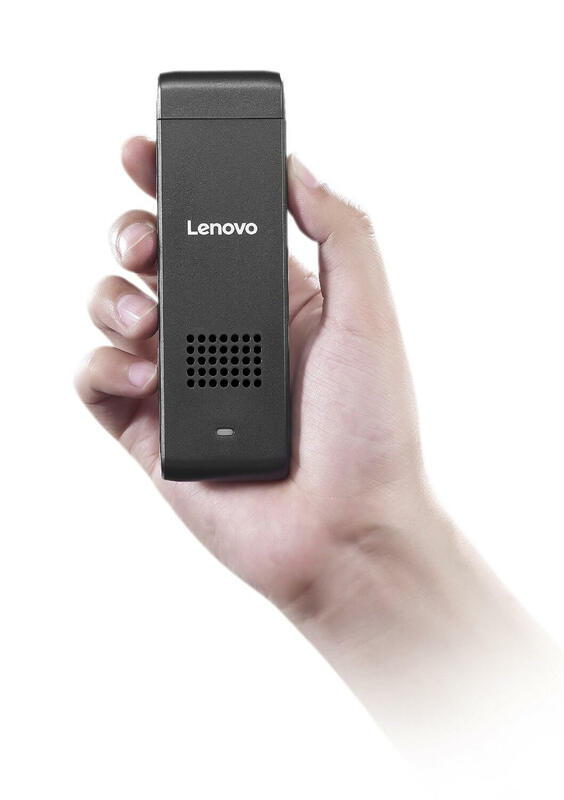 The Lenovo Ideacentre 300 fits in your hand and brings great computing power to your living room. Does streaming work good with the Lenovo Ideacentre 300? Yes, but there's a caveat. While writing this Lenovo Ideacentre 300 review, we saw some users reported problems with it. Specifically, they had trouble when trying to use the WiFi on this device and Bluetooth concurrently. The reason for this is that the device only has one wireless antenna. WiFi and Bluetooth signals might conflict with one another. If you use a wireless HTPC keyboard on the only USB port the device has, and turn off Bluetooth, the WiFi performs well. One keyboard you could use is the Logitech K400 Keyboard. This would enable you to perform more complex activities such as using the search feature when you try to install addons. You could also take advantage of the free Microsoft Office trial included with this device. Lenovo Ideacentre 300 review: plug and play computer? 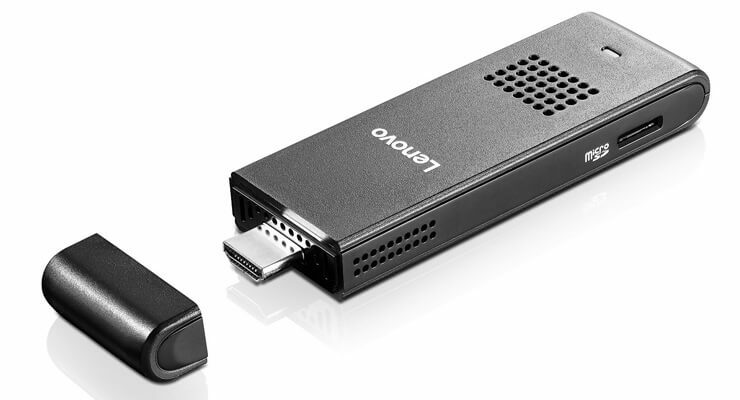 You can connect the Lenovo Ideacentre stick to any HDMI port on your TV or monitor. 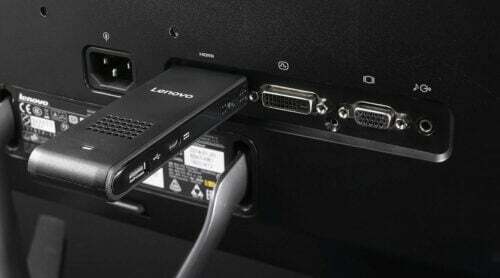 Lenovo Ideacentre 300 review: do you recommend this device? A USB port and a slot for microSD cards, as well as a microUSB port for charging, allow you to take full advantage of this Windows 10 TV stick. 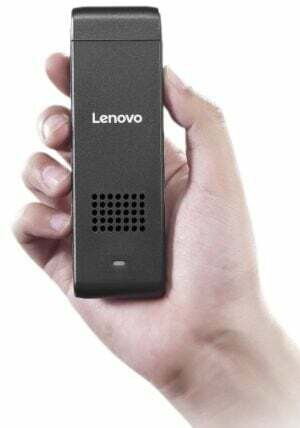 The pricetag on the Lenovo Ideacentre is a bit too steep for my liking: below 100 bucks from its manufacturer and a bit more expensive from Amazon. Android media sticks can be cheaper than that. On the flipside, if you get this device, you are getting one of the best PC on a stick available with Windows 10. In our Lenovo Ideacentre 300 review we noticed it includes original software, and you would get the support of a renowned brand such as Lenovo. If you want to stream content from a home server or the net, and don't care about the price tag, then the Lenovo Ideacentre 300 is a solid alternative. If you value connectivity, and want more than one USB port on a device, then you should get a fully-featured media player instead. In this case, please take a look at some of the best Android media players below $100 currently on the market, since the Lenovo Ideacentre 300 might be too limited for you.